Green valleys encompassed by spectacular hills deposited with the large mines of Manganese and Iron Ore, the exuberant forests with colorful trees, the gently flowing streams and the enchanting lands – This would be the best way to describe Sandur located in Southern India. The hills surrounding the valley emerge as fresh green carpets and the colorful mosaic of trees peeping out of the greenery offer an awe-inspiring view. The shimmering streams, wafting fresh air across the fields, the music of the meadows and the whispering winds make Sandur a dreamland post monsoons. The word Sandur in the local language Kannada means “Sandu” – Gap/pass and “Uru” – Habitation. Therefore it means a town located between hills and accessible only through passes. The two natural gorges on either side of the hills are connected by the stream called Narihalla. Sandur belongs to one of the oldest formation of earth’s crust and thus the naturally originated hills have rich mining deposits of Manganese and Iron Ore. Sandur mines have the best quality of Manganese in the state. The Sandur Kingdom was ruled by the Ghorpade Dynasty and the Palace belonging to the Royal family is now a Heritage Hotel, Shivavilas Palace which stands testimony to the rise of the Kingdom and it is the best of its kind in Sandur and surrounding places. Mahatma Gandhi described this place as an “Oasis” during his visit in the early 1930s. Dazzled by the beauty of Sandur, he quoted “See Sandur in September” rightly. After the rains bring the nature close to bliss in Sandur, the month of September is the best time to visit. The winters are light and pleasant. To enjoy the seasonal fruits delivered best by the mineral rich soils, pick the juicy and sweet grapes in the month of February followed by the most famous Benisha variety pulpy mangoes. Hampi. Click here for Postcards from Hampi. To breathe in a bit of history, visit Hampi of the Vijayanagar Dynasty. Hampi, 40 km away from Sandur, is a UNESCO World Heritage Site famous for its uniquely sculptured structures and temples surrounded by naturally formed big boulders. Most of the temples in Hampi are brilliantly chiseled to perfection. The Virupaksha temple, The Vijaya Vittala temple with musical pillars housing the world famous stone chariot, Elephant and horse stables surrounding the temples, the Tungabhadra River, the Lotus Mahal, the Matunga Hill, The Achyutarya temple are some of the monuments which have seen the rise and fall of the kingdom. A visit to Hampi needs a complete 2-3 days. Within a short ferry ride from Talawaraghatta (Near Hampi) across the Tungabhadra river, one lands in a not very well known town of Anegundi which is considered as the twin of Hampi because of its mythological and historical significance. Mythologically, the area surrounding the Anegundi is believed to be the monkey kingdom of Kishkinda from the epic of Ramayana. It was on the hill of Anjanadri near Anegundi that the Hindu god Hanuman took birth. 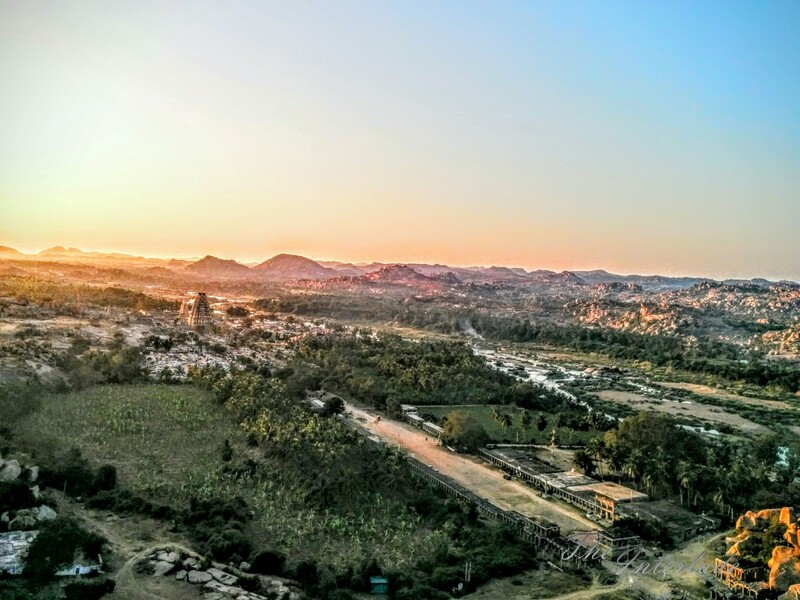 On a clear day, it is said that the whole of the ruins of Hampi, including the Virupaksha temple and the Vijaya Vittala temple can be seen from the boulders behind the Hanuman temple. Set inside the Swamimalai forest near Sandur, this beautiful temple was built by the Badami Chalukyas. It was later rebuilt by the Rashtrakutas. It is believed that the temple which currently houses the shrine of Goddess Parvati was original a Subramanya temple. This temple was completely encroached by the forest until it was discovered in the 15th century by the Gorpade Royal Family. Spot the jackfruit & honey lovers at the famous Daroji Sloth Bear Sanctuary which is 60km away from Sandur. It is one of its kind in Asia where a recent census has shown the existence of more than 100 sloth bears. The sanctuary has a watch tower to provide a wide angle view of the beautiful forest terrain. You can spot the animals even better from here with a good pair of binoculars. 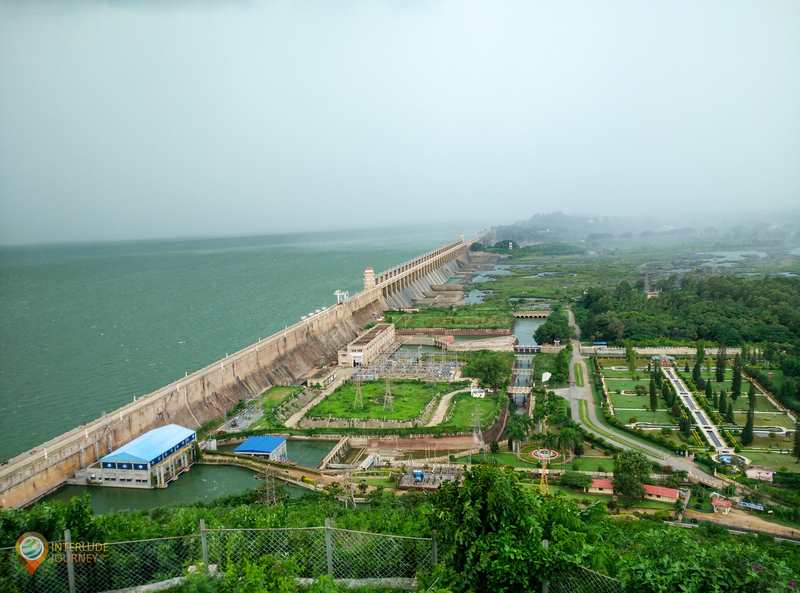 The magnificent Tungabhadra dam at Hospet is about 30km from Sandur. Constructed across the Tungabhadra river, this dam has been serving drinking water, electricity, flood control and irrigational needs of the surrounding area. Its beauty is extravagant when the gates are open with the gushing white water. One can witness the splendor as the water gushes out of all 32 gates which are open during the Independence Day celebrations on August 15th every year. 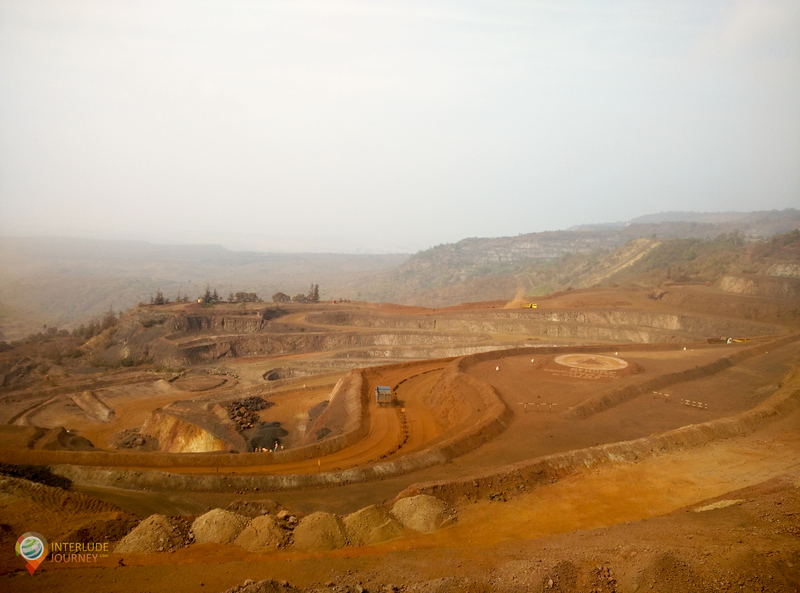 India’s second largest Manganese Ore Mines belong to the Sandur Manganese and Iron Ores Limited, SMIORE. Scientifically operated in environment-friendly surroundings, the mines are well worth a visit. SMIORE follows eco-friendly and scientific techniques to conserve the ecological balance in the area. The mining dumps are covered by coir bed to avoid erosion and support growth of the forest. The famous Kannada movie, Manasa Sarovara has few of its shots captured at these mines. Prior permission has to be obtained by the SMIORE office to visit the mining location. This dreamland of shimmering streams post-monsoon with wafting fresh air across the fields and the music of the meadows and the whispering winds is also a home for the languishing Lambani Art. Lambanis, who originally came from Marwar are now residing mostly in Southern and Middle India. Their ancient mode of dressing is the most colorful with a unique glare and glitz. A handicraft center, Sandur Kushala Kala Kendra (SKSS) is working towards bringing the national and international recognition to the traditional Lambani art and other crafts. Sandur looks gorgeous. I love the landscape and orangey red tones to the earth- very beautiful. Sandur looks and sounds like a beautiful place to visit. I have to admit to never having heard of any of the places mentioned but, you have certainly woven a web of words making it sound enticing. The first picture of the Narihalla water pass is stunning, so much natural beauty. The various temples sound interesting and the architecture of the Kumaraswamy temple is awesome. Thanks for sharing. Aw what a beautiful place! Very peaceful and serene. It’s a beautiful getaway from the usual city break travels. Is it safe to hike in the mountains? I have never heard of Sandur before reading this. I was looking out for a monsoon destination to visit in near Mumbai. This fits in completely! Wow, that looks wonderful. I hadn’t heard of Sandur either but it sounds perfect. Will have to get my binoculars out and go spy some bears in the sanctuary. We are sure you would love to explore Sandur and the bear sanctuary nearby. Wow Sandur looks amazing. It looks like the perfect place to hike! I would love to discover all the surroundings and hike until I drop. Karnataka is just heavenly. In the last couple months I’ve been on 3 trips and everything is amazing. I haven’t known of Sandur yet, so thanks for introducing it to me! Narihalla waterpass is just too gorgeous. I’d heard of Hampi before but never Sandur! It’s a shame because I spent four months in Kerala last year with frequent trips across to the nearby states. Had I read about Sandur I would have been sure to make the effort to head over – it looks amazing! I haven’t been to India yet. It looks like Sandur is the best place to explore in India. I like the photos that you have featured here. They have great sceneries. Have you done hiking here? I visited Hampi but didn’t know Sandur was so close. I regret not visiting Sandur now it photographs so beautifully, especially the pass with the strong greens and browns. I’d love to photograph the mines, the dam and the temple too! That first photo though… I couldn’t get over it. It’s such a beautiful natural scenery. I haven’t heard of this place before but I am super excited to know that there is much to explore! Being a nature lover that I am, I need to add this to my bucket list. I went to India years ago but I have always wanted to go back and explore more. I am definitely adding Hampi to my list especially the Narihalla water pass, as it is just so pretty. Your photos are beautiful too. The Lambani artwork looks so so awesome…I am going to shop a lot I guess 🙂 . Even though I am from India, I had never heard of Sandur. Your pics have made me want to visit it this monsoons! Honestly, Sindhu, I had never heard about Sandur. I should say it is a hidden gem. The fresh fruits will be too good and I too felt there are wonderful places around it. Will love to explore all these one around. Oh boy, it’s been my holidays place since my childhood. Eventhough I was visiting in the scorching summer holidays it’s been a charismatic and peaceful place for me always. The last I visited in October, it was heaven on earth! White steamy clouds passing through the hearts of the mountains! I’m lucky to have my aunt in Sandur who take care of me like a Prince and having farm at the foothills of gargantuan mountains. Love the way Sandur getting praise!